An exciting and bustling city located in the heart of Ohio will play host to the 2018 National Angus Convention and Trade Show this fall. Whether visiting the many Angus breeders in the area or taking a short trip to visit the Certified Angus Beef ®(CAB®) brand headquarters — it’s a location that embodies the heart of the grain industry and the rich history of the world’s most recognizable branded beef program. CAB’s 40th Anniversary will be at the core of the “celebration”-themed event. The Angus Convention is headed to the Buckeye State for the first time ever. It is a gathering place for all quality-minded cattle producers and friends from every sector of the cattle business and offers industry-leading education, networking and entertainment. The first weekend in November, Angus breeders, commercial cattlemen and allied industry partners will join together to learn and set a vision for the future, participate in the organization’s Annual Convention of Delegates, take in the bustling trade show and enjoy all the Angus history Ohio has to offer. Nearly 2,500 cattlemen and women attended the 2017 Angus Convention in Fort Worth, Texas, making it the largest-ever Angus Convention. The American Angus Association looks forward to a growing crowd for this year’s event in Columbus. The downtown convention center will host activities and events Nov. 3-5, including the renowned trade show. Before the official start of the convention, the Ohio Angus Association will host the National Angus Tour on Friday, Nov. 2, where participants will spend a day exploring the area’s leading Angus operations and the Certified Angus Beef brand headquarters. The tour is always a fan favorite at the Angus Convention, and it’s the perfect way to start the weekend’s Angus events. The tour will include an insider’s look at the CAB headquarters and culinary center. Learn how the team accomplishes anything from recipe development to international marketing and brand management. 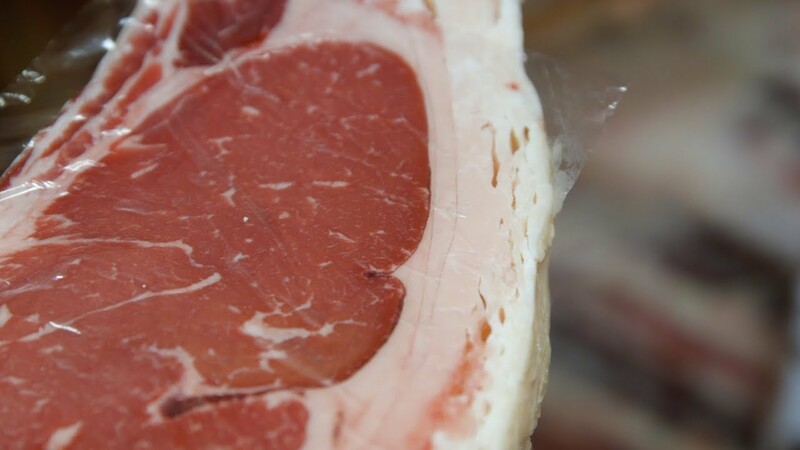 The tour will also include cooking demonstrations with Chef Tony Biggs, director of culinary arts, and a visit to the meat lab with a meat scientist, along with a delicious lunch. During the Angus Convention, guests will hear from keynote speakers that inspire forward thinking and vision for the future of the quality beef business through Angus University, sponsored by Merck Animal Health. In breakout sessions, practical applications are shared on topics ranging from cattle health and management, to understanding genomics and evolving technology. The Angus Genomics Symposium, sponsored by Neogen GeneSeek Operations, will feature presenters, academic professionals and industry leaders who will explore how producers can apply new ideas to their home operations. On the trade show floor, guests will be welcomed by allied industry partners, fellow Angus breeders and others with product offerings to benefit today’s progressive cattle producer. Another stellar workshop series from Zoetis will be featured, as well as prize giveaways and CAB brand meals served throughout the event. Angus breeders receive exclusive booth discounts, and those interested in reserving space can visit the trade show section of the website. Most of the convention focuses on education, but there are light-hearted activities, too. The Angus Convention offers plenty of time for attendees to get to know one another, celebrate the Angus breed, and plan for the future. A concert featuring the renowned Neal McCoy is planned for Sunday, Nov. 4. Registration and hotel reservations open July 1, and more information will be available online at www.angusconvention.com. An important part of the Angus Convention each year is conducting business on behalf of the nearly 25,000-member organization. This year marks the 135th Annual Convention of Delegates for the American Angus Association, where representatives from each state will elect new members and officers to the Board of Directors, and look to the future for the Angus breed. Plans are already under way for the Annual Meeting, and the first step is nominating Angus leaders to serve as voting delegates for their respective state or district. 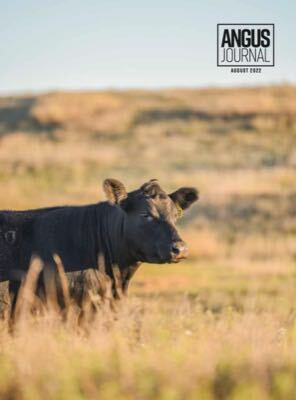 Each eligible voting member of the American Angus Association was mailed a nomination form, and was asked to select one member who would be a successful delegate to the national meeting. Signed nomination forms must be received in the Association office no later than 4:30 p.m. CDT on Friday, June 8. Please reference mailed documents for complete details, or visit www.angus.org for more information on the delegate nomination process.